If you love the Myvi, you'll love it even more now. Myvi 1.5 now comes with the GearUp® Bodykit plus an additional golden Ang Pow worth up to RM3,888. Visit your nearest Perodua showroom today! 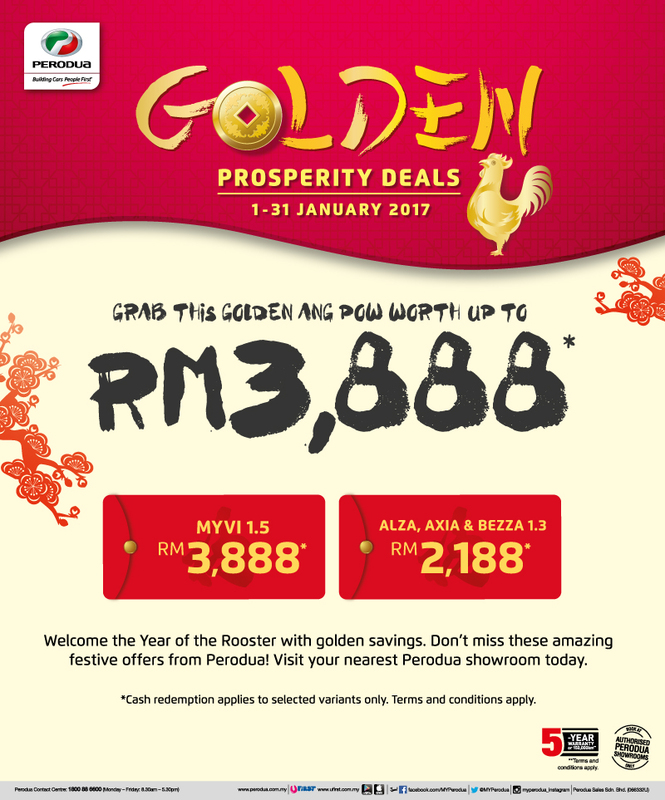 Don’t miss this golden Ang Pow for great festive savings. Hurry, visit your nearest Perodua showroom today!